New York City dermatologist Dr. Rhoda S. Narins offers Westchester patients CoolSculpting. This completely noninvasive fat reduction method can achieve significant slimming results without surgery. It allows patients to treat areas of fat that are not responsive to diet and exercise. New Applicator Dr. Narins now offers the CoolSculpting CoolAdvantage applicator for optimized treatment on the abdomen, flanks and inner-thighs. This device allows Dr. Narins to treat more areas that previously were not easily treatable by CoolSculpting in much less time. CoolSculpting offers our patients the following benefits. No anesthesia or pain medication is required during or after treatment. No downtime is required. Even strenuous exercise or other activity can be completed soon after you leave the office. Fat cells lost following CoolSculpting treatment will not return. With a healthy diet and regular exercise, our patients can enjoy their improved contours for years to come. This treatment can be combined with other body contouring or skin enhancement options, including liposuction and laser skin rejuvenation. CoolSculpting is ideal for women and men who have small, localized fatty deposits that will not respond to diet or exercise. 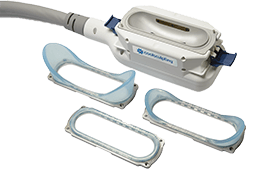 The CoolAdvantage Applicator comes with three interchangeable contours, each specified for a different area of the body. Along with a more concentrated treatment on specific areas of the body, the CoolAdvantage Applicator boasts a shorter treatment time of only 35 minutes, cutting treatment time nearly in half. Patients have also reported greater comfort due to the enhanced cup design. 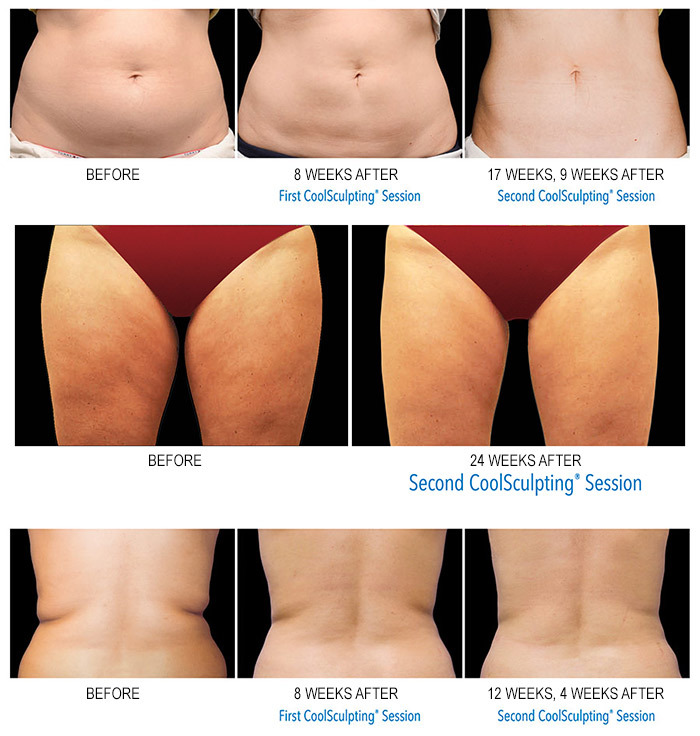 CoolSculpting uses controlled cooling of fatty tissue to achieve body contouring. During treatment, targeted areas of fat are cooled to a temperature just above freezing, causing harm to the fat tissue while limiting damage to other healthy tissue in the surrounding area. Over time, the treated fat cells begin to break down, and are removed through the body's natural cleansing processes. Most people who have a CoolSculpting treatment begin to see results after about 3 weeks, with full results generally taking between 2 to 4 months. Additional treatment sessions can be scheduled for increased reduction in fat. Dr. Narins will develop a unique treatment plan for your body contouring goals. Dr. Narins is widely regarded as a liposuction pioneer, and with CoolSculpting she remains on the forefront of advanced body contouring options. She lectures on body contouring across the US and abroad, and has published books and articles on liposuction. Unlike some providers of CoolSculpting that have little to no experience with traditional liposuction, Dr. Narins can blend traditional and advanced approaches specifically for your body needs. Many patients from all over the world visit Dr. Narins in her New York City and Westchester County offices to learn about liposuction and liposuction alternatives. To meet with Dr. Narins, schedule a consultation by calling her office at (212) 288-9910 (Manhattan) or (914) 684-1000 (Westchester). Learn more about CoolSculpting. The procedure is also known as Cryolipolysis.